Oil prices are soaring, making the decision to switch from oil to gas heating will be one of your better ones. The annual saving on two thousand litres of oil can be as much as €1,000. And remember you only pay as you use it, no large up front bills. 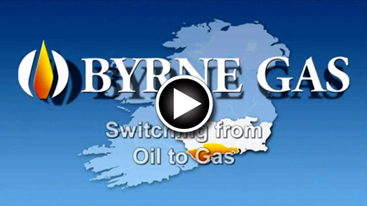 Byrne Gas are expert at converting and upgrading heating systems from oil to gas. With a high-efficiency condensing gas boiler and modern controls, you will have a clean, efficient and economical heating system. Byrne Gas have an exclusive full five years parts and labour warranty (T&C Apply) on all new boilers we install.